If you like to wear pants with “juicy” on the buns (and you know we all do), then this Sanguinello Blood Orange is the fruit for you! Fairly small orange, about 1.5-2 inches across. Orange skin with red blushing. Deep crimson flesh that bleeds dark pink juice. 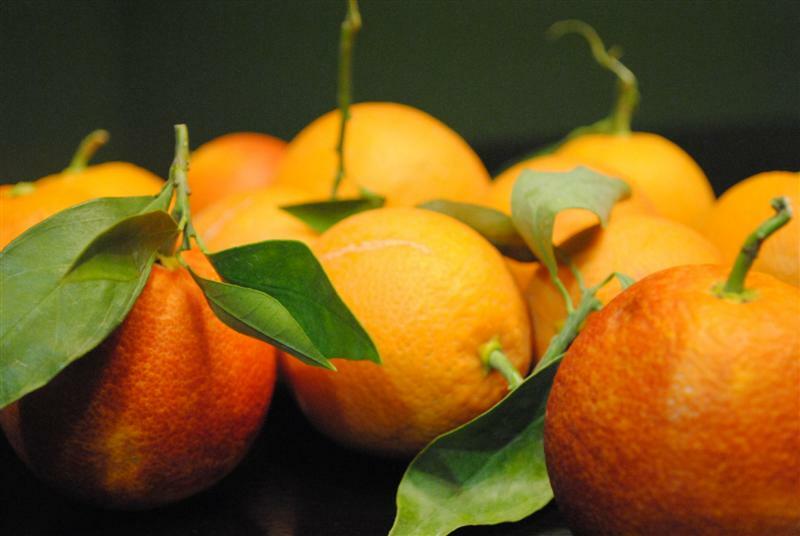 Sweet and perfumy orange. I find the scent to be completely intoxicating. Insanely juicy with just a couple seeds. Soft, giving flesh. Orange and raspberry fruit punch with perfect acidic balance. This is my very first five star review and when I realized that I went back and actually looked for flaws. I couldn’t find them. I completely love this fruit. It looks good, smells good, tastes good, and the juice! Oh my – the juice! Let’s throw in one more exclamation point for the juice! Wowza. Find these where you live and if you live in San Diego go to the farmer’s market and get them. A-maz-ing. I am so smitten with the juice of this orange that I made a little slide show to commemorate it. I’m not saying its a spectacular slideshow or anything, but I have watched it over and over because I’m a little obsessive and (I’m not sure if I mentioned this already) I LOVE THIS JUICE. You could also juice it with a juice extractor like the Breville Juice Fountain Elite, which will get you a lot more juice in a lot faster time. 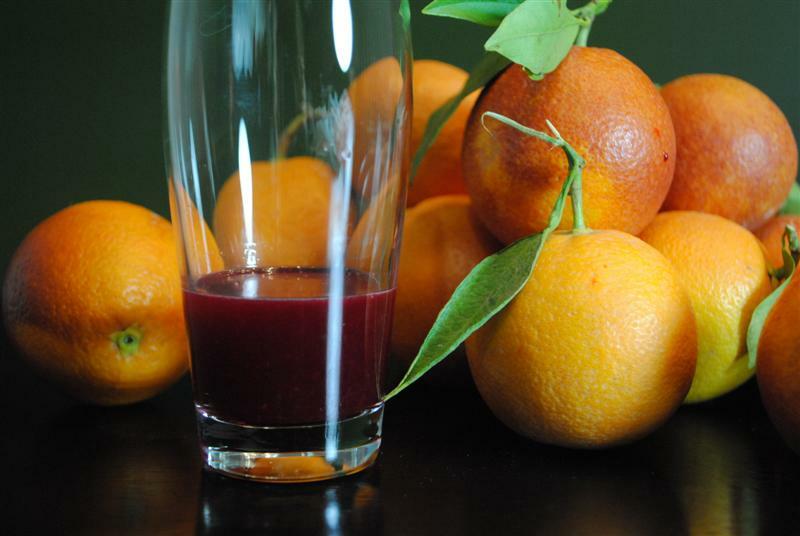 You can buy Blood Oranges at some standard grocery stores and local specialty stores and online here. 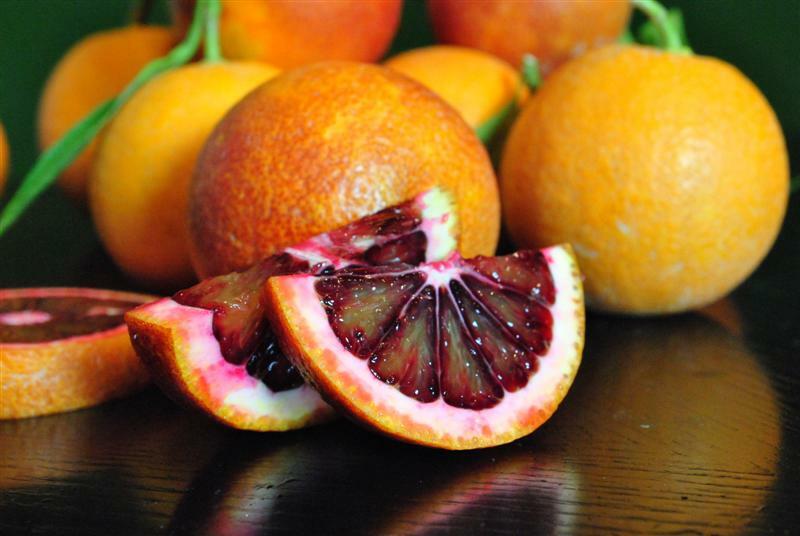 Stores don’t often distinguish between types of blood oranges, but they are all good so you really can’t go wrong. If you get them online, a small amount will go to support the Fruit Maven. So thanks in advance! View more presentations from Fruit Maven. A digital flip book– sweet! I’m really excited to look for this.